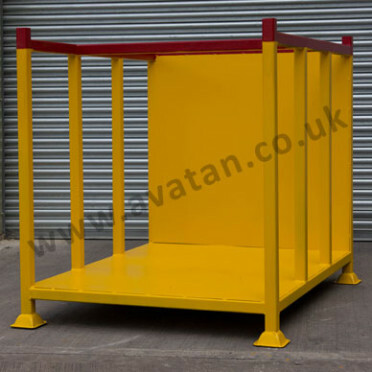 Large demountable stillage designed for storage of insulation materials and other lighter products. 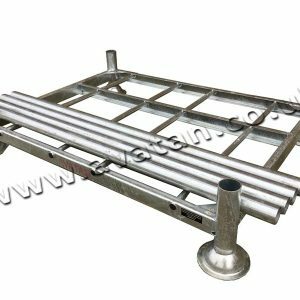 Open braced or sheeted deck with removable side frames and optional tie bars. 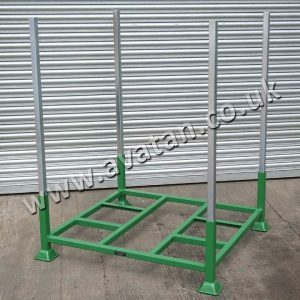 Base dimensions and height may be adapted and manufactured to suit your own specific needs. 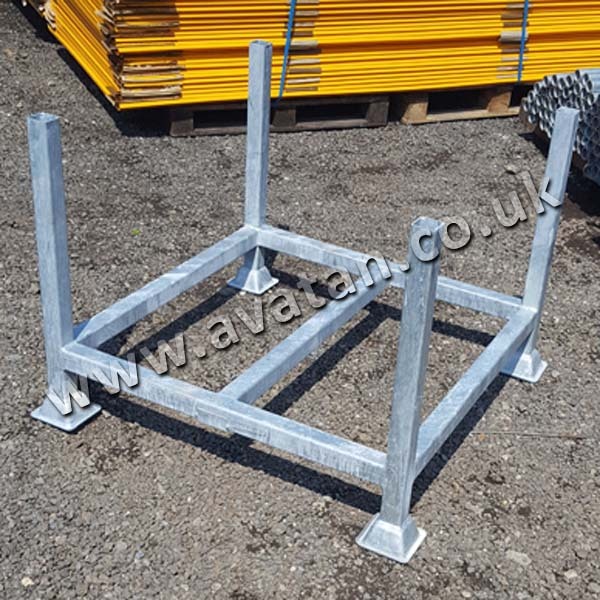 Fully demountable, this standard post pallet has base, two removable side frames plus a removable back tie bar. 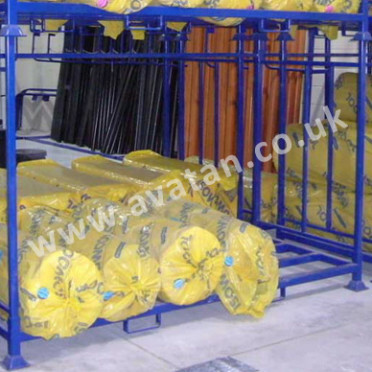 Fitted with fork loops for secure and stable handling by forklift.